Who Keeps The Family Home In A Divorce? Nobody ever gets married with plans to later get divorced, but sometimes the unexpected happens. One of the most common questions in regards to a divorce is who keeps the family home in a divorce. If you and your ex-spouse are unable to agree on who keeps the home, then you will probably need to go to court. Who keeps the family home in a divorce is going to depend on your state laws. State laws, not federal laws, dictate property ownership and asset division in all divorce proceedings. 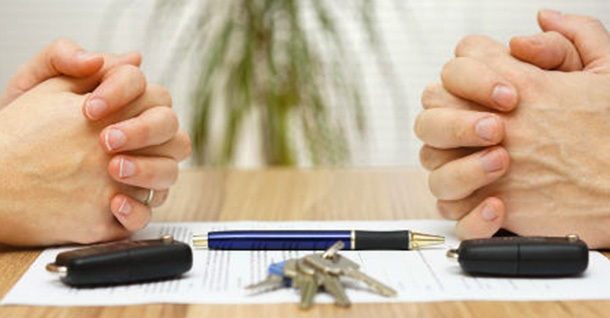 States uses either community property laws or equitable distribution laws to divide assets during a divorce. In states where community property laws are in place, assets are split in half, which means the home and the equity in the home is split between the spouses with each spouse owning half. 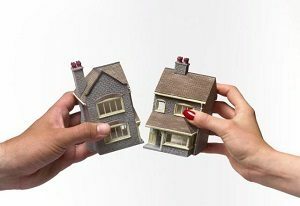 While community property is split, separate property is not. Separate property, which is property owned before the marriage, is kept by the original owner. Equitable distribution is where the judge divides the assets up fairly. The key thing to take note of here is that the assets may not be divided up equally because fair doesn’t always mean equally. For example, separate property can be used to make the division fair to both parties. While assets are generally split between parties, in cases where children are involved most judges will award the house to the party that is providing primary care of the children. After all, a divorce is hard enough on the kids, no sense in making them move if they don’t have to. In general, it is always best if you and your spouse work out who is going to keep the home before you head to court. You might consider buying out the other party so they no longer own the home. If you cannot agree before Court, the judge will be forced to decide and you might not like the answer. Not all divorce cases are the same and not everybody wants to keep the family home. In cases where you do not want to keep the family home or you just can’t seem to agree on anything, you might decide to sell the family home to help resolve any disputes. In this case, the last thing you want to do is go through a formal selling process. The best way to sell your home fast is to sell it to a real estate investor for cash. Most cash investors will buy your home in as little as 5 days. See more here.